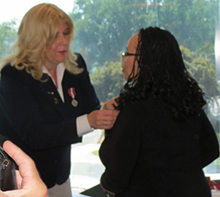 Susan Truppe, Member of Parliament for London North Centre and Parliamentary Secretary for Status of Women, honoured thirty outstanding Londoners with the Queen Elizabeth II Diamond Jubilee Medal at a presentation ceremony in London. The new commemorative medal was created to mark the 2012 celebrations of the 60th anniversary of Her Majesty Queen Elizabeth II’s accession to the Throne as Queen of Canada. The Queen Elizabeth II Diamond Jubilee Medal is a tangible way for Canada to honour Her Majesty for her service to this country. 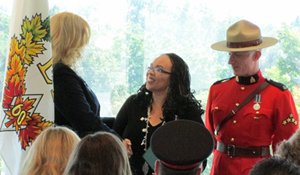 At the same time, it serves to honour significant contributions and achievements by Canadians.